The publication of new Environment Agency byelaws banning the killing of salmon in the North East drift and coastal nets was very welcome news earlier this year and brought to a close a campaign by fisheries organisations that lasted some 30 years. Scotland banned drift netting in 1962 and closed down its coastal nets in 2016, so most UK salmon are now able to reach their rivers of birth unhindered by home-water netting. It was a tremendous way to begin the International Year of the Salmon. However, the same is not true of salmon feeding off the West Coast of Greenland, an area where many of the UK’s multi-sea-winter fish go to fatten up. The North Atlantic Salmon Conservation Organisation (NASCO) was originally established more than 30 years ago to set quotas for Greenland and the Faroe Islands, who between them caught nearly 4,000 tonnes of salmon at the height of their respective commercial fishing industries (Greenland in the mid 1970s and the Faroes early 1980s). The Faroe Islands have not fished for salmon since 2000, although they reserve the right to do so if the International Council for the Exploration of the Seas (ICES) ever report again that there is enough of a surplus of fish in the North Atlantic to exploit. Greenland is much more complicated. For many years, NASCO gave the Greenlanders a subsistence quota of around 20 tonnes of salmon – fish that could be caught and either sold in the local open-air markets or kept for food by the fishermen. Commercial fishing was not allowed, and export was banned. Private funds were even given from around the North Atlantic countries with recreational fishing to the Greenlanders to help them re-equip and target different species. However, monitoring and enforcement of salmon fishing by the Greenland Government was only really tightened some five years ago, when it became clear that the actual salmon catch was veering towards 100 tonnes a year. To be fair, it is a thankless task trying to oversee any coastal activity in Greenland, as the West Coast communities are so disparate – there is no road connection between them, with travel limited to those with access to either boat or plane. However, when Government officials started to phone round the fishing community and ask for catch statistics, alarm bells were rung. In 2015, Greenland accepted a quota of 45 tonnes agreed at NASCO. Unfortunately, some people with little knowledge of the background ridiculed NASCO for the size of the quota, when in realistic terms, it was actually halving the amount of fish that was now known to have been caught in previous years. Coupled to the new quota was a new management and regulatory system adopted by the Greenland Government which put much greater emphasis on monitoring and reporting. In 2018, the quota was reduced to 30 tonnes. The bad news is that Greenland has just reported a catch of 40 tonnes for 2018! However, rather than a return to the bad days, at least the government has a handle on the fishery now and, if it abides by the NASCO agreement, the 10-tonne excess will be taken off the quota for this season, which is comforting news for our MSW (Multi Sea Winter) fish. All this regulation and government support at Greenland and the Faroe Islands means that UK governments have an extra responsibility to protect salmon stocks at home. Good for Scotland and England in taking decisive action over coastal netting, but we still have serious issues to address – open-net salmon farming, agricultural impact on water quality, habitat degradation, water abstraction, barriers to migration, predation – and for that we need a political commitment throughout the UK which is sadly lacking at the moment. I have some sympathy for Greenlanders who generally have a far better grasp of what ‘sustainable exploitation’ means than we ever have – they still derive much of their protein from natural resources and realise how important it is to manage those stocks effectively. So when an angler lands a salmon in the UK and has to return it to the water because of byelaws or fishery rules, rather than curse the regulators, spare a thought for the Greenlanders and Faroese and their sacrifice in the name of conservation. Better still, understand that, as Sir David Attenborough said in our recent video, if we are not to lose the King of Fish for ever, we all have to play our part, in whatever way we can, to help Atlantic salmon through their present crisis. The International Year of the Salmon gives us the opportunity to focus on that very stark warning, and act now! Robust presentations citing the latest discoveries in our understanding of salmon population dynamics left delegates in no doubt that a new approach towards habitat management and water quality management is required if we are to maximise spawning success and achieve maximum escapement. Learn more about how S&TC are fighting for healthy habitats here. Central to achieving good water quality is a science-backed understanding of what the pressures are. 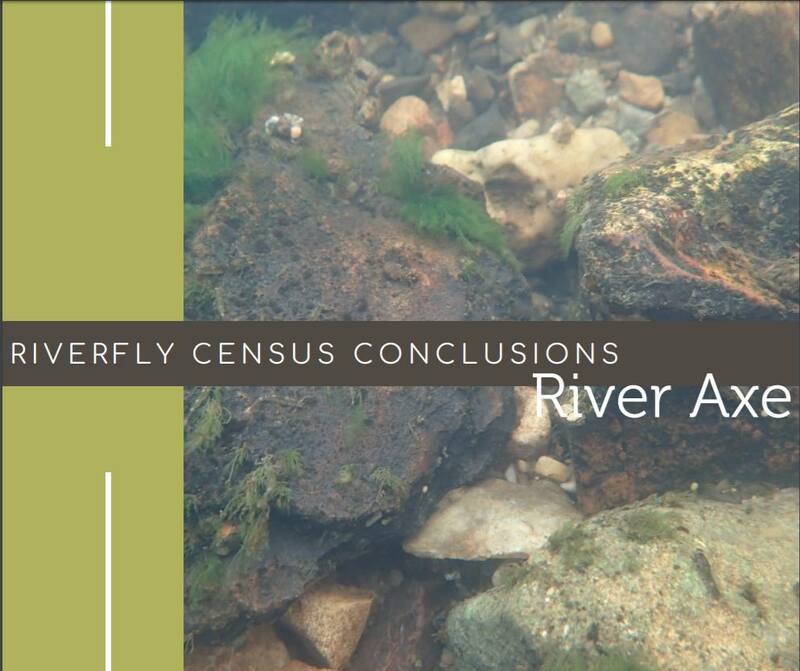 Our Riverfly Census provides critical insights into the health of the freshwater environment, but also provides benchmarks against which to assess the success or otherwise of various management interventions. 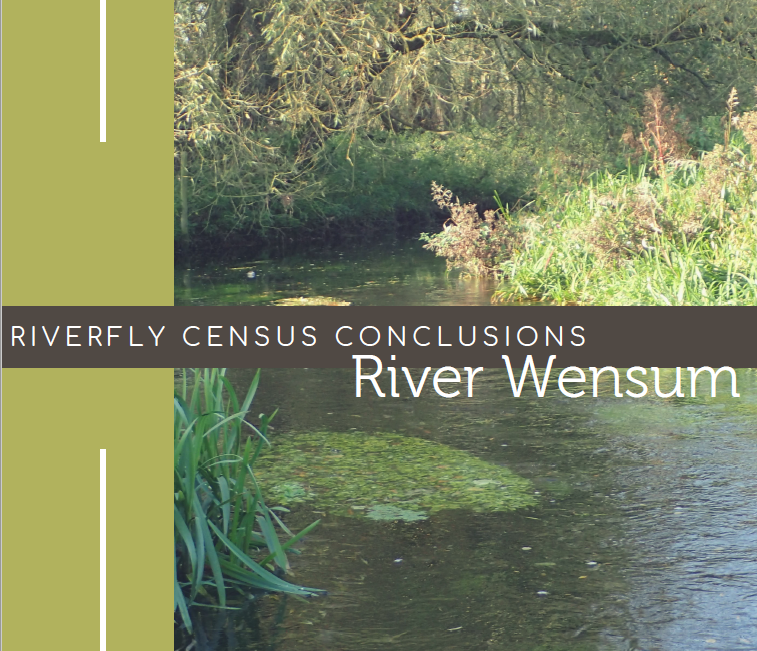 It is imperative that the Riverfly Census work is continued through its future development and expansion into S&TC’s SmartRivers; where local people will be able to harness the power of species-level invertebrate analysis to pinpoint water quality pressures on their own rivers. Proceedings began with a passionate personal account by author and broadcaster Will Millard of the important role salmon, clean rivers and wild fish have played in his life and his desire to see them restored and protected. Our CEO Paul Knight explained the important and role S&TC has played over the past century advocating on behalf of salmon while deputy CEO Nick Measham revealed the manner in which our Riverfly Census can be used to highlight the threats facing the invertebrate population upon which salmon parr depend. important role played by the Welsh Dee or Dyfrdwy as an index river. The dynamics and fate of small and declining salmon populations were presented by Professor Carlos Garcia de Leaniz of Swansea University who also drew attention to the hitherto underestimated importance of salmon choosing to spawn in different rivers to those in which they originated. The morning session was drawn to a close by author and Gamefisher editor Tom Fort who narrated a fascinating thousand year history of salmon exploitation in British rivers by both nets and rods. contributions towards conserving the freshwater environment and safeguarding the future of our wild fish. Dr Guy Mawle gave a detailed and valuable account of his own thoughts and observations, posing some challenging questions regarding possible reasons for recent declines in reported salmon numbers from his home river, the Usk. Drawing the theme of the day to a close, Dr Stephen Marsh-Smith OBE of Afonydd Cymru and the Wye and Usk Foundation related his own conclusions drawn from a long and intimate connection with the Wye and offered some valuable suggestions on the steps required if we are to see our salmon stocks return to truly sustainable levels. Our Fundraising Manager, Guy Edwards, then gave a short but powerful presentation on the value of our financial independence and the need to allow science to lead us in our campaigning efforts. This was followed by S&TC trustee Tony Bostock who provided a very useful summary of the day’s proceedings before thanking the contributors for their valuable contributions. Seminar coordinator and S&TC’s National Officer for Wales, Richard Garner Williams, wishes to thank all concerned for making the day such a success and looks forward to repeating the exercise in 2020. Header image credit: Alan Ward at country field media. Bakkavor has stopped using chlorine-based cleaning products at its Alresford Salads salad washing and packaging factory near Alresford. This means that the chemicals used every night to clean the factory’s equipment will not be able to react to form chloramines which are highly toxic to water life even in extremely low concentrations. The EA and others stopped Bakkavor using chlorine in the daytime salad washing water some years ago. This is one small victory in our campaign to stop Bakkavor’s salad washing factory at Alresford polluting the headwaters of the River Itchen SAC and SSSI - one of our finest and most highly protected chalkstreams. Pesticides washed off the salad crops are also entering the river via an adjoining watercress bed with no monitoring for these potential lethal pesticides taking place. The solution to the overnight wash is clear: under the precautionary principle, it must be tankered away or connected to the sewer (as Vitacress does at its nearby plant on the Bourne Rivulet). We find it incredible that industrial effluent should be discharged to any river. Bakkavor will howl about the cost but why should any business, let alone a multi-million pound one, be allowed to dump potentially toxic chemicals in the headwaters of a SAC river. The pesticides could be an even bigger threat to the Itchen. We notified the EA formally last summer about our discovery of a potential pesticide impact below the discharge point from Alresford Salads and the discharge point from the watercress bed operated by The Watercress Company (TWC). The water used to wash the salads is pumped to this adjoining watercress bed, flows through the cress beds and then discharges into the river. TWC’s discharge permit has no pesticide monitoring conditions. Thus, it is possible this potentially lethal pesticide brew has been entering the Itchen without any monitoring. After our intervention, the EA has been carrying out intensive pesticide monitoring of these discharges and is due to report soon. We await the results with interest. Whatever the outcome, it seems clear that pesticides washed off the salads should be monitored and, if present in harmful quantities, removed whatever the cost. ...But they are definitely the ‘elephant in the room’ when it comes to protecting our waters from nutrient pollution. There are a vast array of homes that are not linked up to main sewage treatment works. Where properties are located at least 50 metres from a sewer, septic tanks or package treatment plants are the dominant method of sewage disposal. Septic tanks are essentially underground tanks. Solids sink to the bottom, forming sludge, and liquid flows into a drainage field, where bacteria take out the bad bits as it soaks into the ground. When used and maintained properly these ‘micro-treatment works’ do their job very well. Why are septic tanks an issue? It seems quite obvious, but to keep our wild fish and other water life thriving, they need a sewage-free place to live. Wastewater contains nitrogen and phosphorus from human waste, food, certain soaps and detergents. If a septic tank is not operating correctly, these nutrients are discharged into watercourses. Excess nutrients are bad news for river systems. There are a variety of reasons why septic systems fail, but one of the most common is poor maintenance. For example, irregular septic tank emptying may cause solids in the tank to block the soakaway and clog the complete system, increasing the risk of an environmentally damaging incident. Another big issue is regulation around these micro-treatment works. Despite more rigorous regulations being recently introduced for installation of new septic tanks, the vast quantity of unregistered older systems still remain, with their condition and effectiveness largely a mystery. Rules around septic tanks are also mostly advisory with a lack of top-level ownership around the issue. The absence of a single authority control has led to frequent installation of systems with inadequate drainfield designs, in unsuitable locations and with no common policy covering their registration or maintenance. Systematic inspections are also lacking, currently only discharges of larger systems with specific permits are routinely monitored for discharge quality. To keep our rivers healthy and bursting with life we need your help to keep them sewage-free. If you are a septic tank owner, be responsible & educated. If you know other family and friends with this kind of system, share your knowledge! Report incidents - If you see a suspicious septic tank discharge to your local river, report it! Send us a photograph and a google maps location and we’ll happily take a look. The end of 2018 was not pretty for water companies. Sadly, as always, our environment and waterways bear the brunt. First up was Thames Water, fined £2 million at Oxford Crown Court on 21st December for a pollution incident in 2015 in which two Oxfordshire streams were polluted with raw sewage killing many fish. The Court heard that Thames Water had disregarded more than 800 high priority alarms in the six weeks prior to the incident, and a further 300 alarms were reportedly not properly investigated, which would have indicated that a key sewage pumping station was about to fail. A further alarm was apparently deliberately deactivated by staff during a nightshift. Thames Water should hang its head in shame. Next up was Southern Water. Following a freedom of information battle with Ofwat, just before Christmas, we finally received confirmation from Ofwat that an investigation into Southern Water, begun in 2017, remains ongoing. Ofwat has revealed that it is investigating breaches relating to the company’s general duty to provide and maintain its sewerage system to ensure its area is effectually drained, pursuant to section 94 of the Water Industry Act 1991. Section 94 is, in effect, the core duty for the bigger water companies – the law requires them to collect and treat sewage properly. Ofwat has confirmed that the investigation covers all of Southern Water’s wastewater treatment works, and that it is looking also at the company’s own reporting of compliance information to Ofwat between 2010 and 2017 in relation to those wastewater treatment sites. Obviously, while nothing is yet concluded, the fact that an investigation is now one and half years old and is dealing with such fundamental issues as the company’s general duty to provide and maintain a sewerage system, strongly suggests that Ofwat is not happy. But Ofwat itself has hardly been the most aggressive of regulators and it is about time that it found its teeth. If any further evidence was required that Ofwat needs to start biting, it was delivered by the Government’s Water Conservation Report 2018 - slipped out on 19th December as we all left for the Christmas break. The Water Conservation Report identified that water company leakage still represents about 22% of all treated water put into the supply network and has scarcely reduced since 2014. In 2018 eight water companies missed their leakage targets. On the demand management side, per capita consumption of water has scarcely changed in recent years and only 50% of households have a metered supply. If one delves into Hansard, the record of Parliamentary debates and committees, it is not hard to find references going back over many years to the need to reduce leakage, increase metering and conserve water. If one were to read watery debates from the 1990s or, indeed, those leading up to the Water Act 2003, the story would be depressingly familiar to the one we are presented with today. Both Government and Ofwat need to pull their respective fingers out – there are positive signs that the new regime at Ofwat might deliver more environmental protection than in the past, but the jury is still out. We must have decisive action to reduce per capita consumption of water, introduce universal metering of domestic and industrial consumers (with appropriate safety nets for those essential users who need large supplies) and to finally get a grip of water company failure to address leakage. On protecting rivers from low flows due to over-abstraction, the Water Act 2014 requires the Government to report to Parliament by the end of May on progress on abstraction reform. One fears it will have very little new to say. If the Government’s bold claims, to wish to be the first generation to leave the environment in a better condition than we found it, are to mean anything at all, the time for writing more reports, reviews and consultations is over. Action involving aggressive enforcement of the existing law must now follow. However, while we can and should bemoan the chronic lack of firm action by Government, and by Ofwat, and indeed by the Environment Agency in failing to pursue more prosecutions against water companies, the real blame for the damage caused to the water environment by over abstraction, by sewage pollution, and by a general lack of stewardship, falls clearly at the feet of the water companies. Those of us in the NGO sector who have been ‘around the block’ have attended so many meetings with water company representatives, all so wonderfully reassuring, promising to sort out the problems. But it is easy to forget that it is now thirty years since water privatisation. The ongoing failure of the water companies to bring their environmental performance up to a reasonable standard over three decades is a national shame. With the feed-in-tariffs for hydropower ending in March after little activity over the past couple of years, the beginning of 2019 has seen a flurry of applications for new hydro schemes. 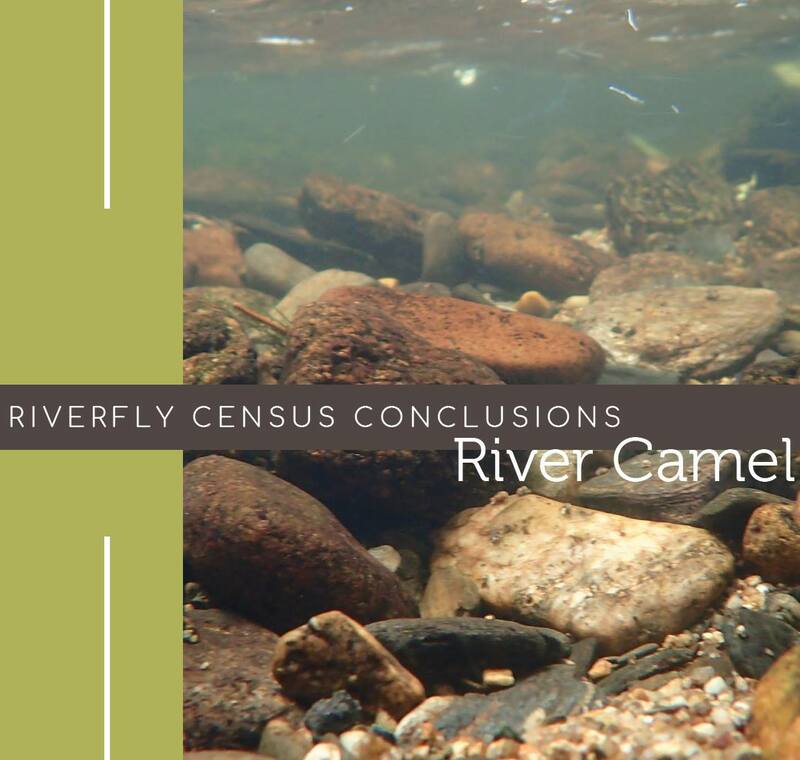 For us, this has once again highlighted the importance of our Riverfly Census data to provide evidence, not just anecdote, on the state of our rivers. 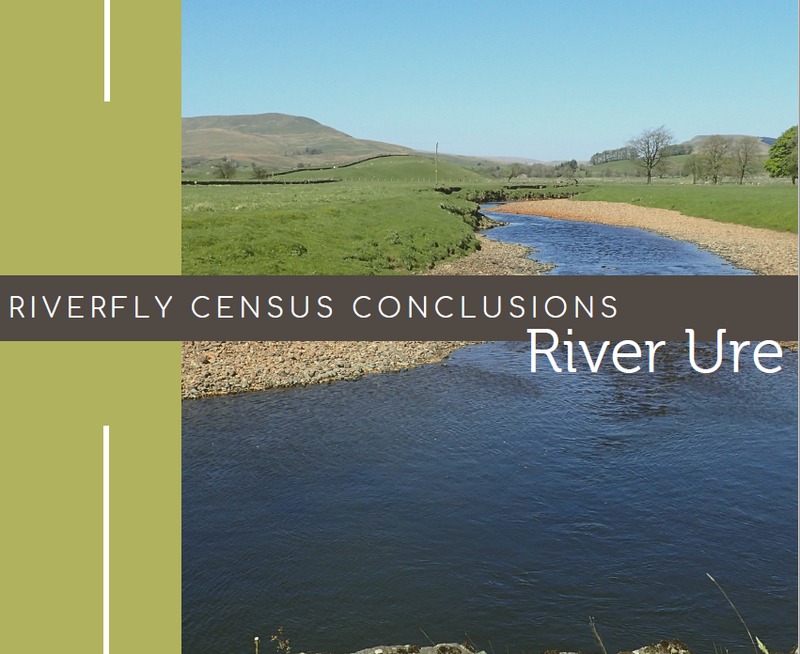 We recently used data from the Census in our response to a hydropower application on the river Coquet. On this important salmon river, the Census results, which are collected at a higher resolution and frequency than the Environment Agency’s own data, indicate some phosphate, sediment and pesticide pressures already impacting the reach in question. This, coupled with the Coquet salmon currently classified as ‘probably at risk’ and seatrout ‘at risk,’ surely means we should take a precautionary approach to such developments? The recent closure of the north east drift nets will be a very important step to improving salmon stocks in this area, but this is by no means a silver bullet. We must use every opportunity to remove in-river barriers to migration, both upstream and downstream, such as the weir mentioned in this application, as well as improving water quality and salmon habitat too. The power of the Riverfly Census has led us to develop SMARTRivers – taking the Riverfly Census out to local rivers by training volunteers to sample and analyse aquatic invertebrates to species level, to provide the evidence to drive change. For more information on how you can get involved click here. What have we achieved this year? 2018 has been our biggest year yet! So where has your support got us, and what have we done for wild fish protection and conservation? Our CEO's Year In Review summaries our influence, accomplishments and campaigns over the past 12 months. With the help of our many donors, members and grant-making Trusts, S&TC has had a successful year in influencing a number of wins for wild salmon and trout. The below is a quick summary; however you can download the full review here. ECCLR – they conducted the first Inquiry and their Report included the one-liner: the status quo is no longer an option. REC - their Autumn Report was highly critical of the way salmon farming is operated and regulated and presented 65 recommendations for improvement, including most of our main asks. NASCO - we work internationally on wild salmon issues through NASCO, our CEO being co-chair of the accredited NGOs which gives us unprecedented influence. Amongst other issues, we have used NASCO to influence netting closures and pressurise Scottish salmon farming. 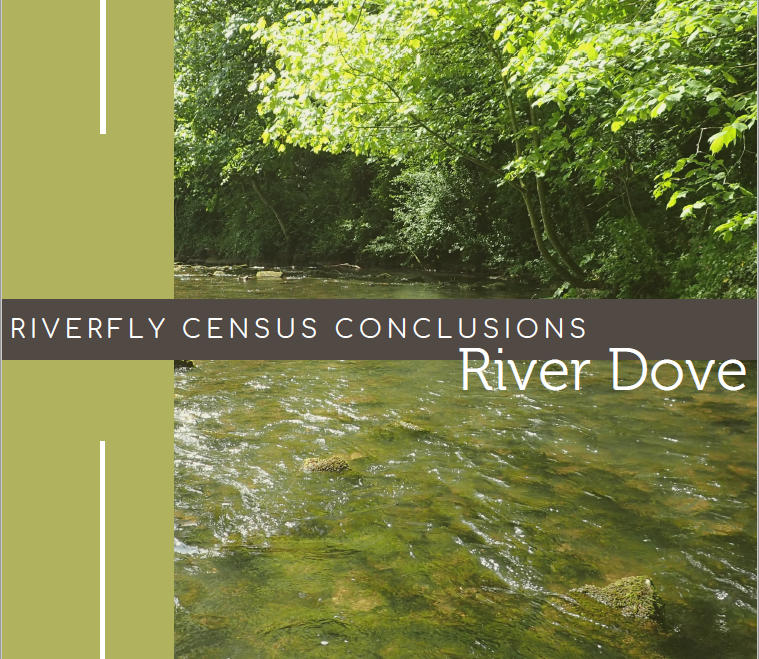 Riverfly Census - 3 years and 20 rivers later, we have professional and actionable evidence of various pollutants impacting river health, nationally and locally. Census results have shown up the alarmingly poor condition of some of our most high-profile rivers, particularly from sediment and phosphate, and we co-authored a peer-reviewed paper showing the lethal impact of those two stressors on mayflies. 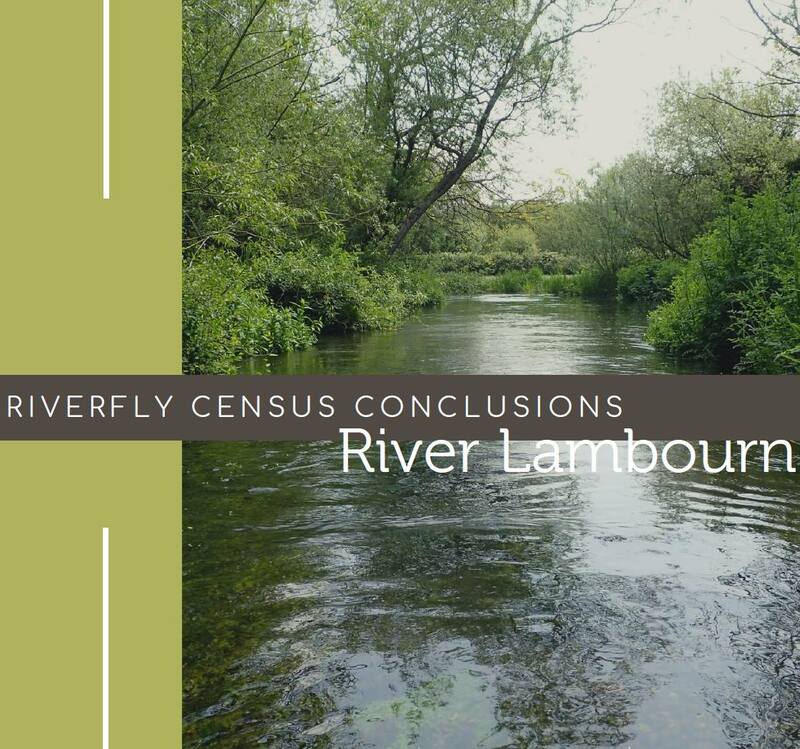 The full Riverfly Census report is currently being compiled but has already influenced new invertebrate species and abundance targets for chalkstreams. The Test and Itchen report is now available. Using a case study on the Upper Itchen at Alresford Salad’s washing plant to fight for the elimination of toxic chemical discharges into SAC rivers. Our seat on the EA’s Water Leaders’ Group, which covers all environmental water issues. Our seat on the National Drought Group, where we have represented wild fisheries since 2011. Scottish Government to adopt legal responsibility to protect wild salmon and sea trout from the impacts of salmon farming. An independent agency to regulate salmon farming against sea lice trigger levels that protect wild fish, with the sanction of forced harvest on persistent offenders. A moratorium on establishing/expanding farms in sensitive locations and movement of existing farms away from migration routes. Incentives for companies to move into closed containment production. Netting - we are concerned that sea trout will still be exploited in some of the north east coastal nets and we will be seeking more action in 2019 to protect sea trout. SMARTrivers - Our new project, based on training and utilising high resolution citizen science to understand and improve wild fish water quality. Living Rivers - We will continue to fight for the protection of the Upper Itchen and have major chemical sampling plans for other rivers in 2019. Much more - stay tuned for our 2019 plans, in January.